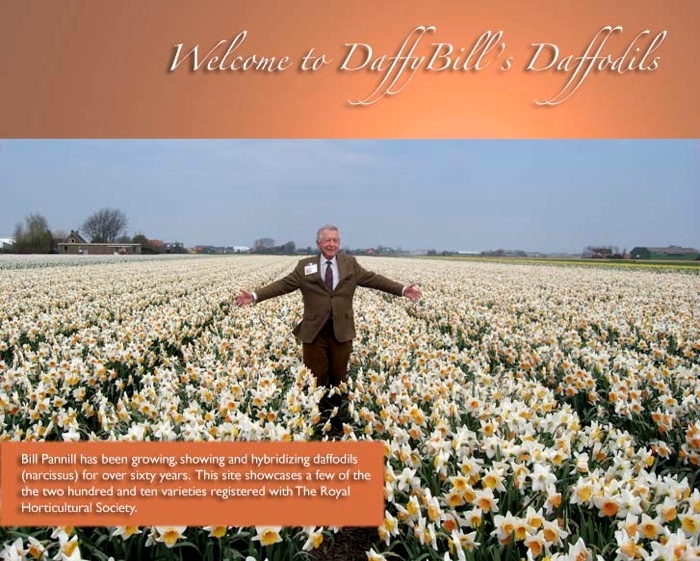 William G. Pannill | Daffybill's World of Daffodils | Mr. Daffodil | Official site for William G. Pannill - Growing, showing and hybridizing award winning daffodils for over 60 years. The official website for William G. Pannill. Bill Pannill has been growing, showing and hybridizing daffodils (narcissus) for over sixty years. This site showcases a few of the two hundred and ten varieties registered with The Royal Horticulture Society. Copyright © 2018 William G. Pannill. All Rights Reserved.